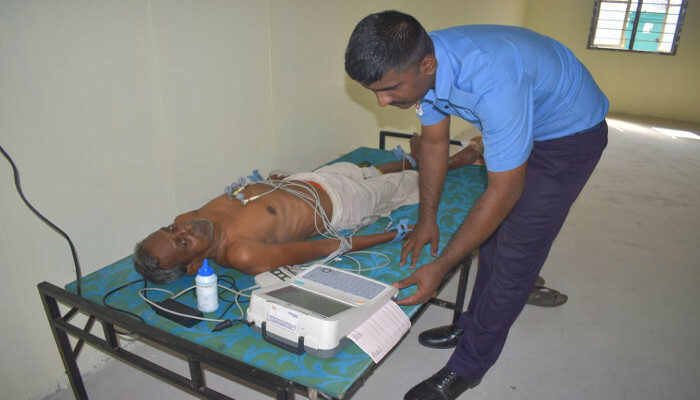 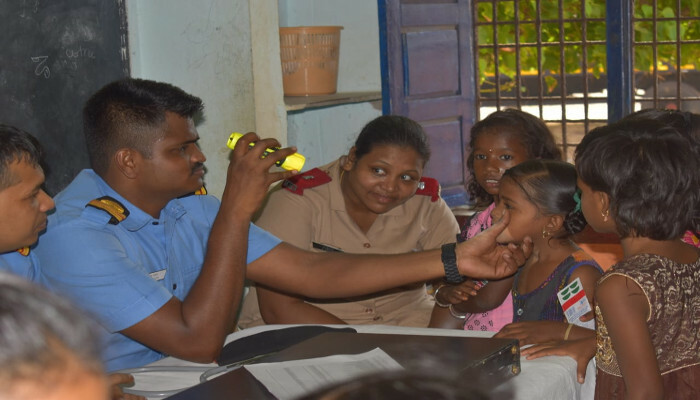 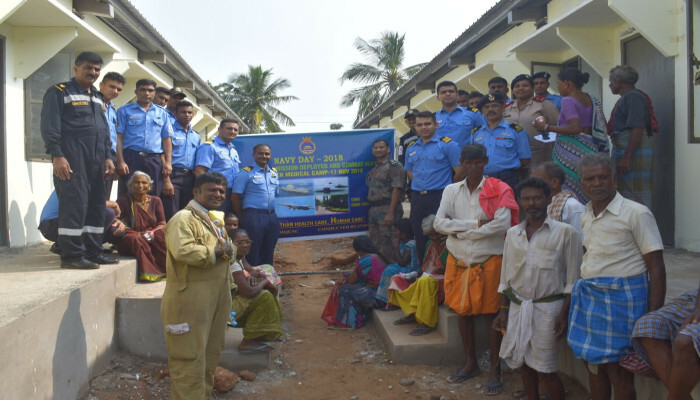 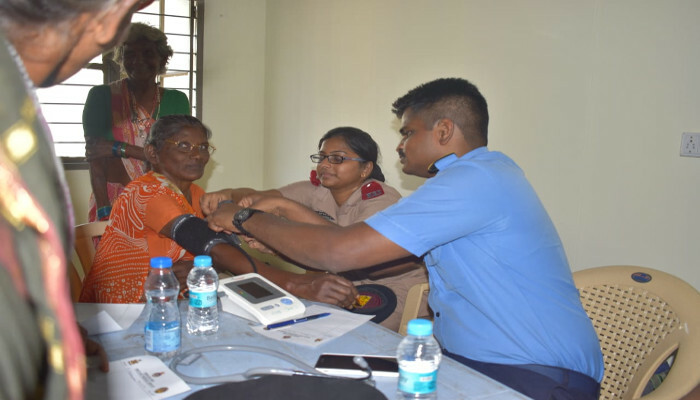 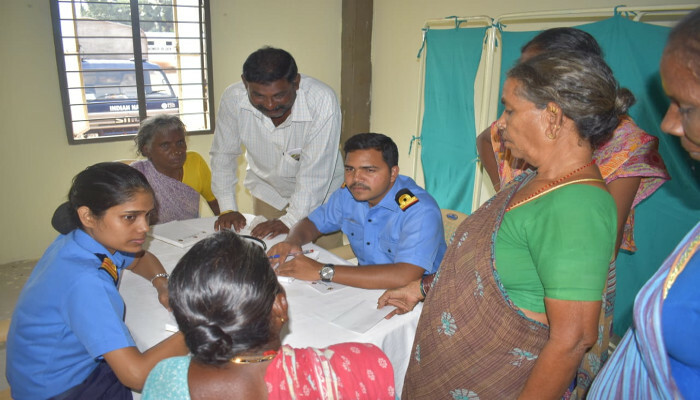 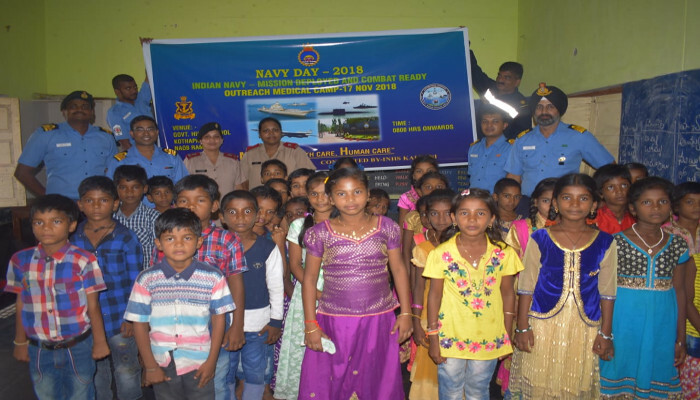 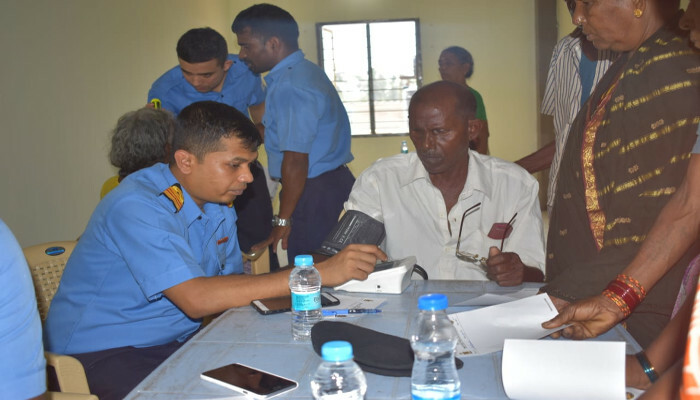 As part of Navy Week Celebrations, ENC organised a Medical Camp at Vada Narasapuram, Rambali Mandal Visakhapatnam on 17 November 2018. 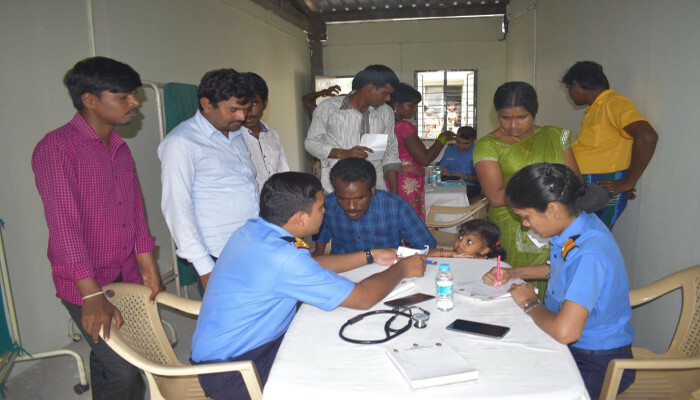 The Medical Camp was aimed to identify early stages of chronic diseases, screen patients, provide basic treatment to geriatric patients and impart health education on prevention of vector borne diseases. 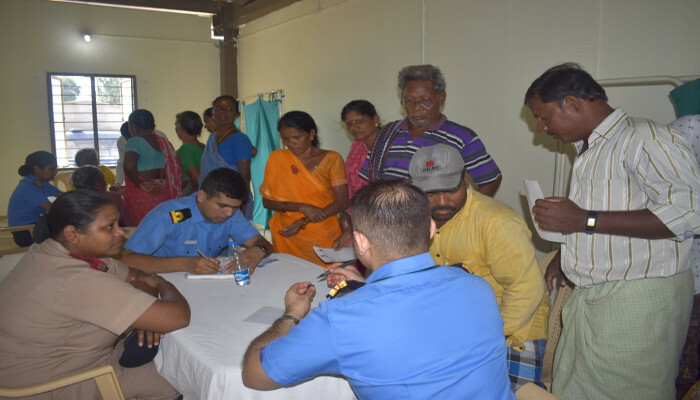 A team comprising 12 medical officers including specialists in Medical, Surgical, Orthopaedic, Pathology, Eye, ENT, Gynaecology, Dermatologhy, PCM and Dental provided outpatient cover to over 305 locals. 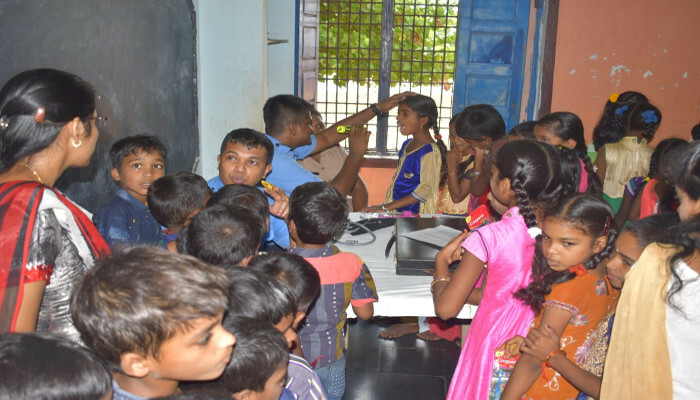 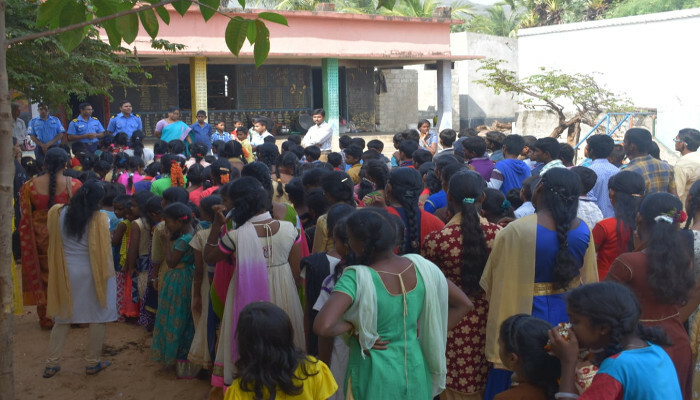 Simultaneously a medical screening camp for nutritional and other disorders in children and health lecture on hygiene for 200 students was conducted by INHS Kalyani at Government School, Kottapatnam Village. 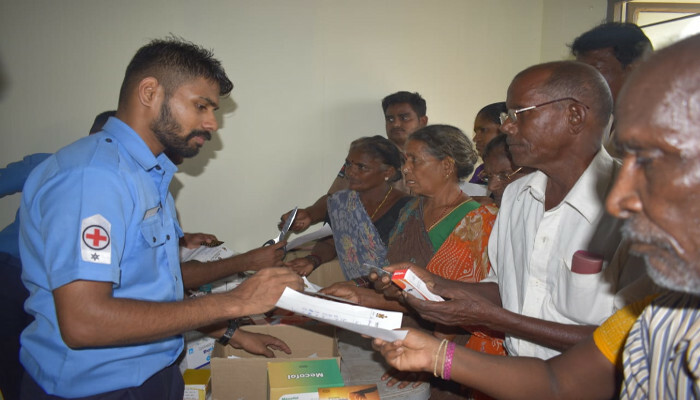 The Station Health Organisation also helped the community by providing anti-vectoral cover by doing a door to door campaign and spraying disinfectants for prevention of Malaria and Dengue.